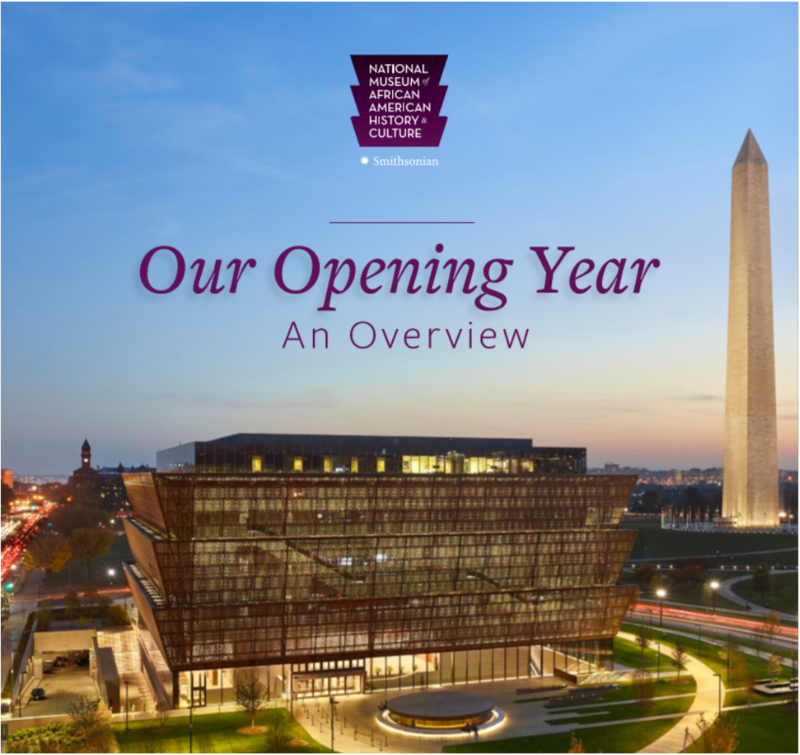 The Smithsonian’s National Museum of African American History and Culture released today its 2017 Annual Report, highlighting key stories and achievements from the museum’s first full year of operation in its new building. The report can be viewed at nmaahc.si.edu/about/annual-reports. Since opening Sept. 24, 2016, the National Museum of African American History and Culture has welcomed nearly 4.5 million visitors. Occupying a prominent location next to the Washington Monument on the National Mall in Washington, D.C., the nearly 400,000-square-foot museum is the nation’s largest and most comprehensive cultural destination devoted exclusively to exploring, documenting and showcasing the African American story and its impact on American and world history. For more information about the museum, visit nmaahc.si.edu, follow @NMAAHC on Twitter, Facebook, Instagram and Snapchat—or call Smithsonian information at (202) 633-1000.